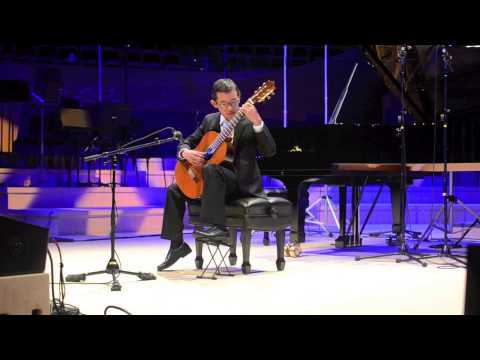 Chase Onodera appeared most recently as a member of the San Francisco Conservatory Guitar Quartet on Show 301, recorded in February 2015, and as a soloist on Show 279, recorded in November 2013. San Francisco Conservatory of Music Guitar Quartet is coached by Scott Cmiel at the San Francisco Conservatory of Music. Its members include: 15-year-old Ashwin Krishna, from Los Altos, California, who previously appeared on From the Top’s Show 250 at Carnegie Hall in New York, New York; 13-year-old Chase Onodera from Sacramento, California, who previously appeared on From the Top’s Show 279 at Stanford University; 16-year-old Alexander Stroud from Mountain View, California; and 14-year-old Nicholas Padmanabhan from Palo Alto, California. 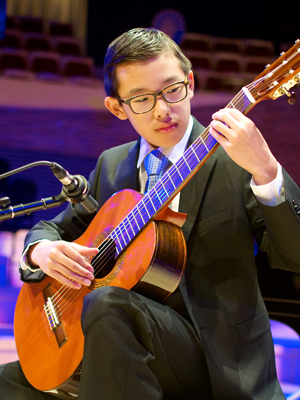 Chase Onodera (guitar), 12, is from Sacramento, California, where he is a student at Sutter Middle School. He studies with Scott Cmiel at the San Francisco Conservatory of Music where he also participates in various trio and quartet ensembles. Chase has already won prizes from the Menuhin/Dowling Young Artist Competition, the Junior Bach Festival, and the US Open. Aside from classical music, he also plays flamenco.